The Perkasie Dog Park is located off of Constitution Avenue across from the Perkasie Square Shopping Center. For your convenience, water is available at the park. There are benches inside the fenced area. There are restroom facilities located across the Lenape Park near the softball field. Please park in designated areas when using the dog park and DO NOT PARK ON THE GRASS. The Dog Park is owned and maintained by Perkasie Borough. Dogs are to remain leashed outside of the dog park fencing. Owners shall remove their dog(s) leash once inside the gated entrance way, and keep the leash in their possession at all times while using the dog park. Prong, choke, spike and pinch collars are strictly prohibited in the park. They pose a risk to dogs and dog owners. Each adult is limited to a maximum of three dogs in the park at a time. This area is for dog play, not child play. For the protection of children and dogs, children under the age of 14 are not allowed inside the dog park. Children ages 14-17 must be accompanied by an adult and supervised while using the dog park. Dog park users must have their dog in sight, under voice command and under control at all times. Food is not permitted in the park; it is not a picnic area. Glass containers are not permitted in the park. All owners are to clean up after their dog(s).All waste must be bagged and disposed of properly in the marked receptacles. If your dog begins digging, stop the dog immediately and move the dirt back into the hole. No parking whatsoever is permitted along driveways or on the grass. Vehicles parked in unauthorized areas are subject to being ticketed by the Borough Police. 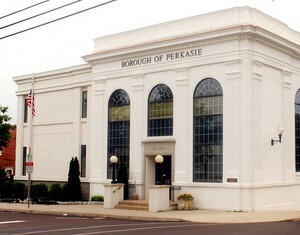 For all emergencies call Perkasie Borough Police at 911, Non-emergency number 215-257-6876. 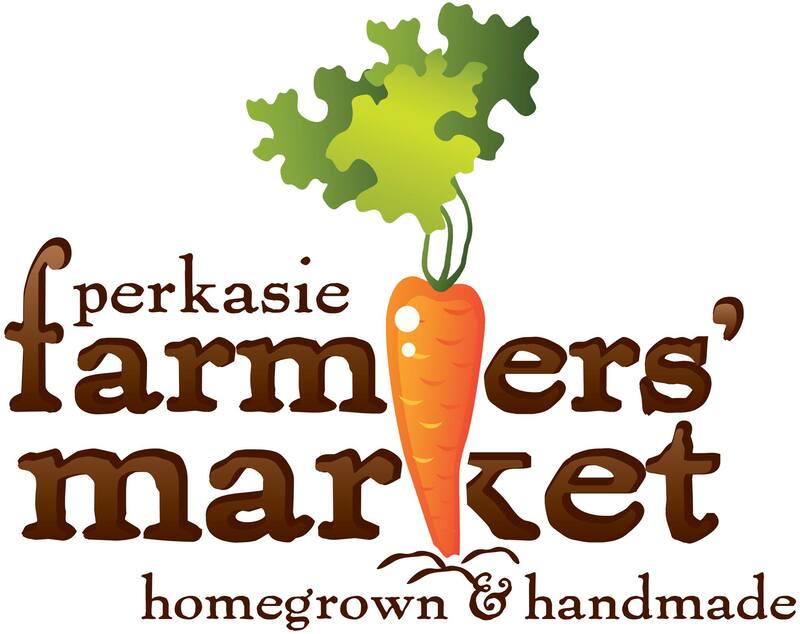 Perkasie Borough has the authority to close the site for maintenance, inclement weather/turf conditions, special permit and when deemed necessary. This dog park works because we all love our pets and enjoy being able to play together. Lets have fun playing with our four-footed and two-footed friends. Let common sense, common courtesy and friendliness prevail. This park was built by the community, for the community: please take pride in this special place and clean up after yourself and your dog. Dog Parks are not a place for young puppies (less than 6 months in age). Socializing your puppy is one of the most important things you will ever do, but the dog park is not the place for it.Dog parks can be dangerous, scary, and overwhelming for very young dogs, potentially giving your puppy a life-long problem with other dogs. Please socialize your puppy safely among peers in a supervised “puppy kindergarten” setting. Make your first visit without your dog. Familiarize yourself with the posted rules and how the park works. Not all dogs like meeting new dogs. If your dog has not regularly interacted with other dogs, find out how they will react. Invite a few mellow dogs over to play in a controlled setting. Check for obedience schools that offer socialization classes for adult dogs. Be sure to socialize puppies (8-16 weeks of age) at a puppy kindergarten class. Early socialization is one of the most important things you will ever do for your dog. The first few time you take your dog to a site, choose a time that is not busy. Weekday evenings are peak times. Weekends and holidays tend to be busy all day long. The first visit can be a little stressful for both you and your dog, so keep it short and happy. Gradually work your way to longer visits. Observe the posted park rules. Complaints about you or your dog threaten the success of the site. Remember, dogs must be leashed upon entering and leaving the off-leash area. Please know and follow the rules! Let your dog off leash as soon as you arrive at the site. Mixing leashed and unleashed dogs can be an explosive situation. Leashed dogs, and their humans, often display body language and behavior that is threatening to the free dogs and may provoke them to be defensive in return. Walking defuses defensive behaviors and keeps the off-leash area neutral territory. This means your dog is more likely to pass by another dog with a sniff rather than a stare down. Avoid the temptation to stand around and chat or to sit down at the tables. When folks congregate, many dogs may become protective of their people and their space, making scuffles more likely to occur. Be aware that dogs have different play styles. Educate yourself about dog behavior. Behavior that concerns some dog owners may simply be a rambunctious style of play. Always respect another dog owner’s wishes if they are not comfortable with how your dog is interacting with theirs. Simply move to another part of the park for awhile. Leash up and leave if your dog is acting aggressively or is having a bad day. Closely supervise your dog. Do not reach in to break up fighting dogs. Instead, try squirting the dogs in the face with some water or distract the dogs by throwing a jacket on them. Parents should keep children within reach. Many dogs do not live with kids and have not been socialized to children. Teach children not to run, scream or ride their bikes near dogs. Train your children always to ask permission from the dog owner before approaching an unfamiliar dog. You are responsible for injuries inflicted by your dog. Under Pennsylvania law, a dog owner is liable for injuries and damage caused by their dog. Watch your dog carefully! If your dog injures a person or a dog, give your name and phone number to the injured party. Report to law enforcement authorities any handlers who refuse to take responsibility for damages/injuries and who are endangering the safety of others. Record their license plate number if possible. Keep the park safe and clean. Pick up trash, cigarette butts, and litter. Pick up orphan poop. Don’t let your dog dig holes. Leave the site better than you found it! It’s the small gesture multiplied by dozens of daily visitors that makes these sites successful. Thousands of dogs visit these sites every month. Those who don’t pick up ruin it for others. Dirty sites may be closed due to health concerns. Most of all, nobody likes to look at or step in poop. Be courteous and use common sense!Bring extra plastic bags to help maintain the poop bag supply. The Borough does not provide bags. Dispose of dog poop in proper waste receptacles. Notify the township if the receptacles are filled. Keep licenses and vaccinations up to date, spay or neuter your dog, train your dog in basic obedience, educate yourself about dog behavior (many books, magazines and websites are available), and be an advocate for the organization providing your dog park. From West – Follow directions for Philadelphia if using the Pennsylvania Turnpike or Follow directions for Allentown if using Rt. #78. From Allentown or Rt. #78 – Follow Rt. #78 east or west to Allentown and beyond to Rt. #309 south. Follow Rt. #309 south through Quakertown. Exit at the Perkasie, Rt. #563 exit. Make a right off the exit and a right onto Rt. #563. Go through the next light and turn right at the following light (Park Avenue). Turn left onto 5th Street, and then right onto Walnut Street. At the bottom of the hill you will cross a bridge and come to a traffic signal immediately after the bridge. Turn right at that intersection. The Dog Park is located at the second entrance to the park across from the Perkasie Square Shopping Center. From Philadelphia or I-476 – Take I-476 North to the PA-63 exit, Exit 31, toward Lansdale. Turn left onto Sumneytown Pike/ PA 63. Turn left onto Forty Foot Road/ PA-63. Follow PA-63 until you reach the traffic light at Route 309 and make a left onto Route 309. Follow Rt. #309 north. Exit at the Perkasie, Rt. #563 exit. Make a left off the exit and a right onto Rt. #563. Go through the next light and turn right at the following light (Park Avenue). Turn left onto 5th Street, and then right onto Walnut Street. At the bottom of the hill you will cross a bridge and come to a traffic signal immediately after the bridge. Turn right at that intersection. The Dog Park is located at the second entrance to the park across from the Perkasie Square Shopping Center. From East – Follow direction for Philadelphia if using the Pennsylvania Turnpike or follow directions for Allentown if using Rt. #78.